Toyota and Project Lead The Way (PTLW) have awarded $150,000 in grants to eleven K-12 schools in Central Kentucky, which will go toward preparing students for the next-generation of STEM (science, technology, engineering and math) jobs. 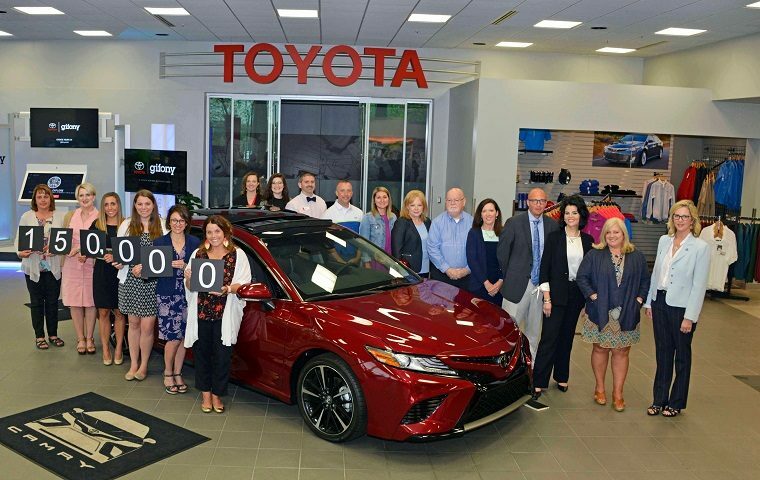 Though this grant, provided by the Toyota USA Foundation, was specific to Kentucky schools, it follows a $2 million grant that the company last year offered to PTLW to help support 115 schools across the United States. However, the automaker also has a close relationship with Kentucky via its manufacturing facilities located there. Specifically, five schools in the Harrison County received a grant, including the Northside, Southside, Westside, and Eastside elementary schools. Compared to the rest of the developed world, the United States fares poorly in science and especially math (Japan, on the other hand, is near the top in both categories). Given Toyota’s commitment to American manufacturing and automotive development, it only makes sense the automaker would also invest in what could become the minds behind its technologies. “Investing in programs like Project Lead The Way and developing partnerships with local schools is an important step in preparing Kentucky’s next generation of thinkers and doers for the jobs of the future,” said Elkington.